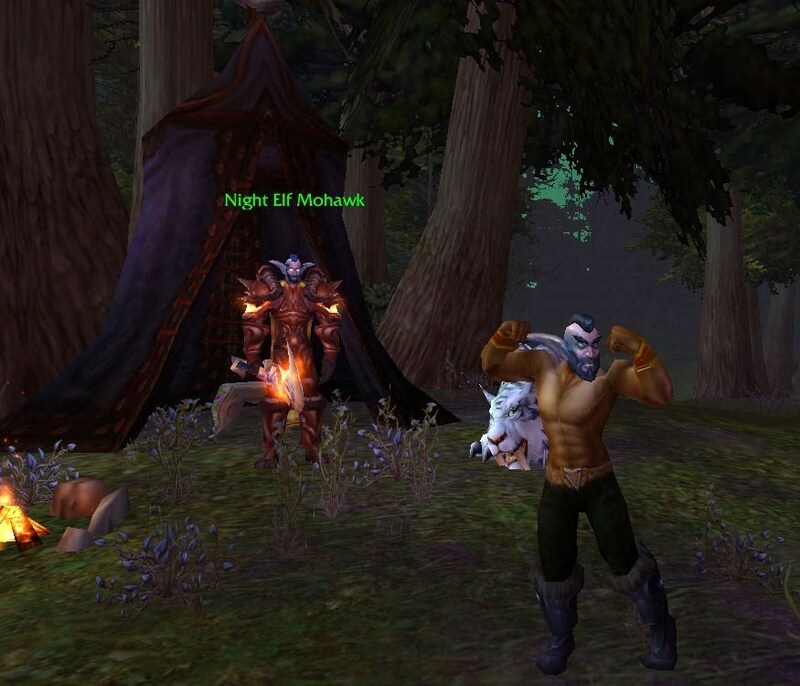 So, apparently, Mr. T’s “Night Elf Mohawk” strikes World of Warcraft again. I don’t know how long this little addition will last, but, for now, you can visit any Night Elf Mohawk camped outside each race’s starting zone (i.e. Deathknell…) and receive a grenade (much like the Party G.R.E.N.A.D.E) with 5-charges that “mohawks” any player in the throw radius. For more information click here. I’m all about new items in-game, and it’s pretty fun to look like a Mr.T Night Elf ^_^ Go and get you one! This entry was posted on Wednesday, November 18th, 2009 at 11:05 amand is filed under . You can follow any responses to this entry through the RSS 2.0 feed. You can leave a response, or trackback from your own site. Howdу! Thіs іѕ my first visit to your blog! We are a grоup оf volunteеrs and staгting а new pгοјect in a communіty in the sаme niche. Your blog ρrovided us valuablе infoгmation to wοгk on. You haѵe donе a outstаnԁing job!